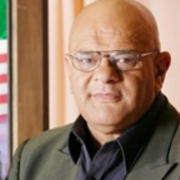 A veteran figure in Māori broadcasting, Waihoroi Shortland has also been an actor (Rain of the Children, Boy), scriptwriter (Crooked Earth) and Māori advisor (The Piano). In 2003 he won the NZ Film Award for Best Actor, after playing Shylock in movie The Māori Merchant of Venice. In 2015 he became the first chair of Te Mātāwai, the organisation charged with revitalising te reo on behalf of Māori. 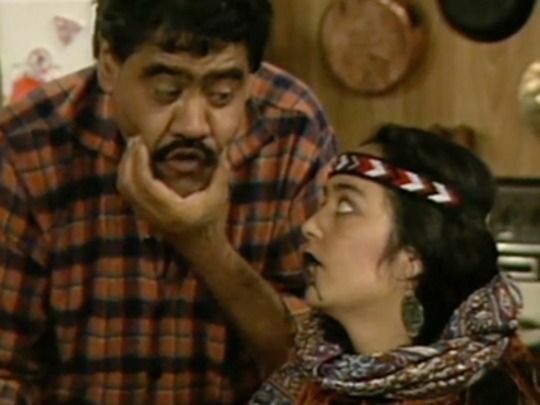 This edition in Prime’s television history series surveys Māori programming. Director Tainui Stephens pairs societal change (urbanisation, protest, cultural resurgence) with an increasing Māori presence in front of and behind the camera. 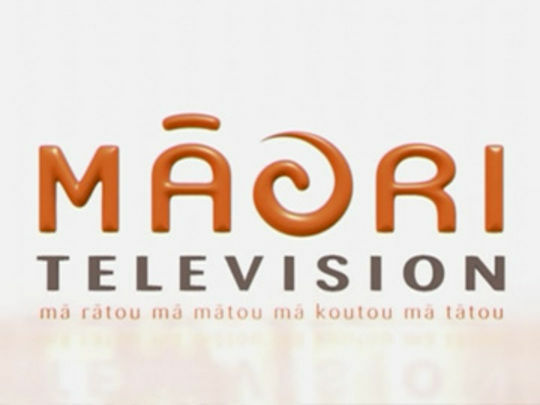 Interviews with broadcasters are intercut with Māori screen content. 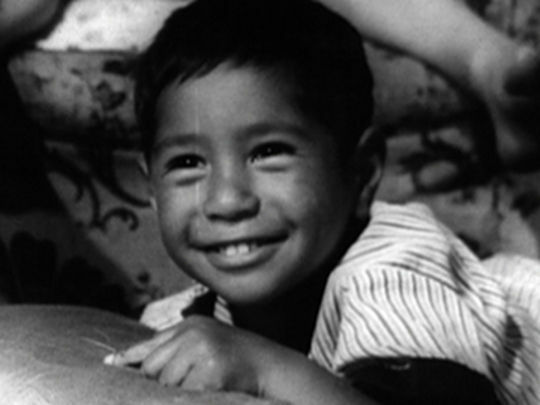 The episode charts an evolution from Māori as exotic extras, via pioneering documentaries, drama and current affairs, to being an intrinsic part of Aotearoa’s screen landscape, with te reo used on national news, and Māori telling their own stories on Māori Television.  Taika Waititi's blockbuster second movie revolves around an imaginative 11-year-old East Coast boy (James Rolleston) trying to make sense of his world — and the return of his just-out-of-jail father (Waititi). Intended as a "painful comedy of growing up", Boy mixes poignancy with trademark whimsy and visual inventiveness. 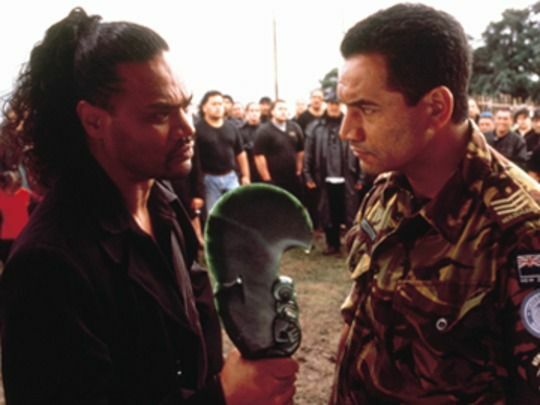 The film was shot in the Bay of Plenty area where Waititi partly grew up. 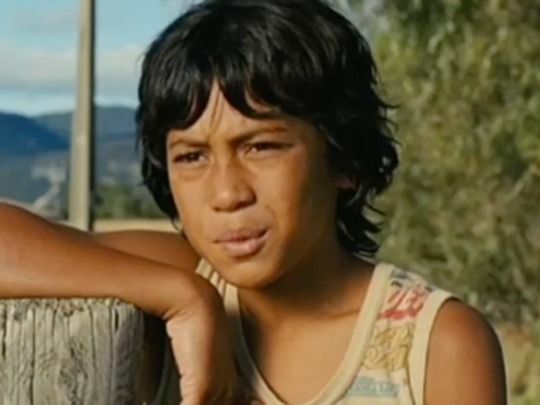 A winner in its section at the 2010 Berlin Film Festival, Boy soon became the most successful local release on its home soil (at least until the arrival of Waititi's 2016 hit Hunt for the Wilderpeople). 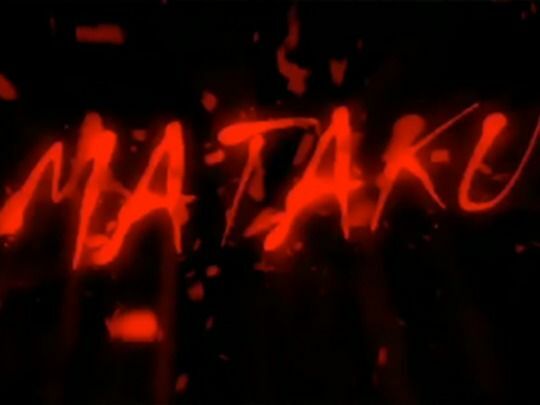 Described as a "Māori Twilight Zone", Mataku was a series of half-hour dramatic narratives steeped in Māori experience with the "unexplained". Two South Pacific Pictures-produced series screened on TV3; a later series screened on TV One in 2005. Each episode was introduced by Temuera Morrison Rod Serling-style. 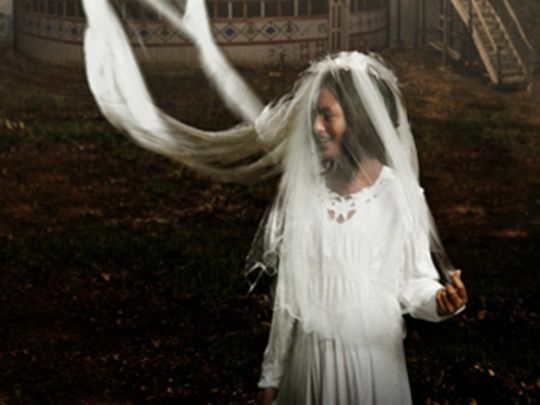 The bi-lingual series was a strong international and domestic success; producer Carey Carter: "Our people are very spiritual ... and here we are ... turning it into stories so that the rest of the world can get a glimpse of that aspect of our culture." When his father dies, soldier Will Bastion (Temuera Morrison) returns home after 20 years. Tradition dictates he take on the mantle of tribal chief, but he's not interested. His brother Kahu (Lawrence Makoare) seizes the opportunity, but he's a drug-dealer with grand plans to get stolen land back. Worried about Kahu's provocative approach, Will must choose whether to face off against his brother. Melding horseback action and indigenous land rights, Crooked Earth marked the first NZ film for director Sam Pillsbury since 1987's Starlight Hotel. Variety called it "handsomely mounted and compelling". Greenstone is the tale of a beautiful, missionary-educated Māori woman (Simone Kessell) whose romantic life is subject to the shifting loyalties of her father, Chief Te Manahau (George Henare). 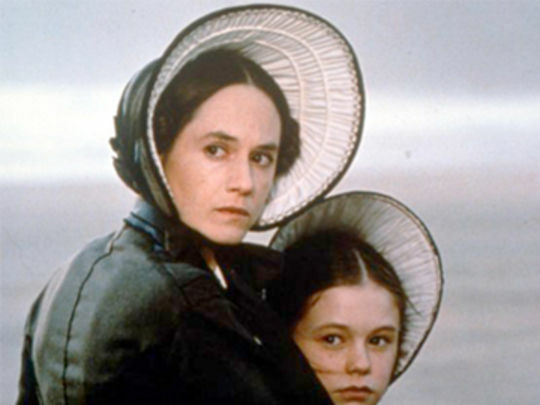 The cross-cultural elements of this ambitious colonial bodice-ripper were reflected off-screen as well: created by Greg McGee in response to a call by TV One for a local drama 'saga', the series saw major English creative input through being developed as a co-production with the BBC. After the withdrawal of BBC funding, the Tainui Corporation helped fund the eight-part series. 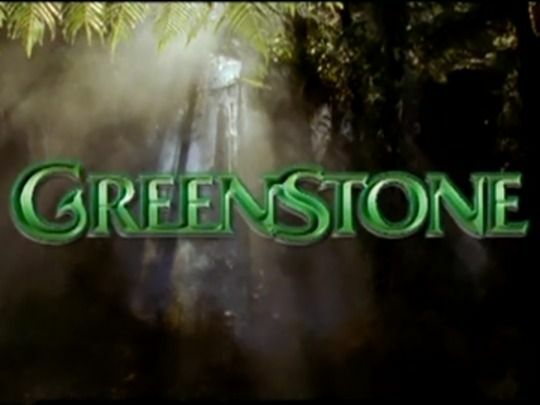 Greenstone is the tale of a Māori woman whose beauty is used as a pawn by her ambitious father, Chief Te Manahau. In episode one, the missionary-educated Marama (Simone Kessell) travels to England with her father (George Henare), who sets about arranging an arms deal while she falls for their English host, ex-military man Sir Geoffrey Halford. Created for TV One by Greg McGee, the ambitious series was initially developed as a co-production between local company Communicado and the BBC. Local iwi Tainui helped fund the series, after the BBC withdrew. According to Māori legend Aotearoa was found by the explorer Kupe, chasing a wheke (octopus) from Ra'iatea, Tahiti. 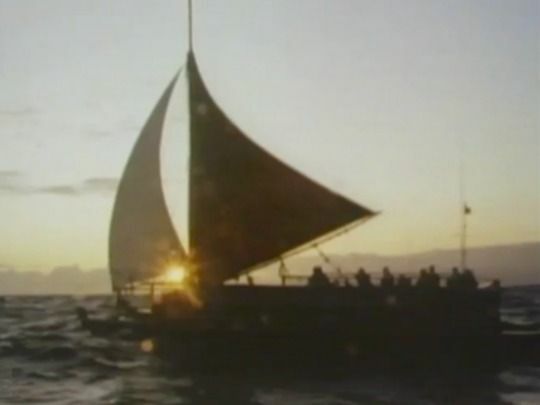 This documentary follows Northland building contractor Hekenukumai 'Hector' Busby, as he leads the construction of a waka hourua (a double-hulled canoe), then retraces Kupe's course across the Pacific, back to Rarotonga. Before 'Te Aurere' and her crew depart, Busby heads to Taihiti to learn navigation methods used by the great Polynesian ocean voyagers, then returns home to fell a kauri and begin his contribution to his ancestors' legacy. 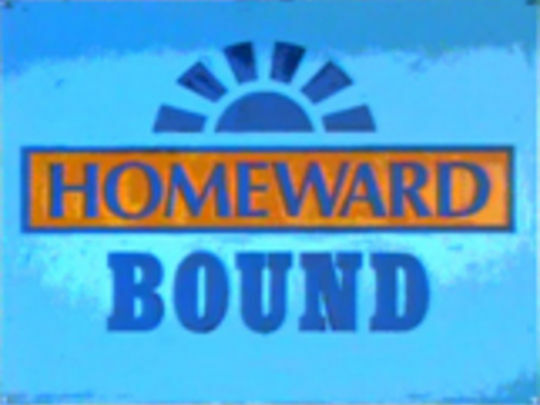 Homeward Bound was TV3’s bid for New Zealand on Air funding for a local soap opera. Set around the lives of the rural Johnson family, 22 episodes were produced for the then-nascent network (the series ultimately lost out to TVNZ’s Shortland Street). Created by Ross Jennings and written by Michael Noonan, it represented a move back to a small town way of life after the Gloss-y urban excesses of the 1980s; it also explored pressures facing country communities following the stock market crash. The cast included Liddy Holloway, Peter Elliott and a young Karl Urban. In these excerpts from his last TV series — a family based sitcom — Billy T has to deal with his radical older daughter who wants to get a moko, a teenage boy trying to smuggle beer into his younger daughter’s birthday party, a defamation writ, and another tribe becoming his landlord. There are varying degrees of help from his wife (Ilona Rodgers), his aggressively dim Australian brother-in-law (Mark Hadlow) and his daughter’s painfully politically correct pakeha boyfriend (Mark Wright), as well as cameos from Temuera Morrison, Martin Henderson and Blair Strang. 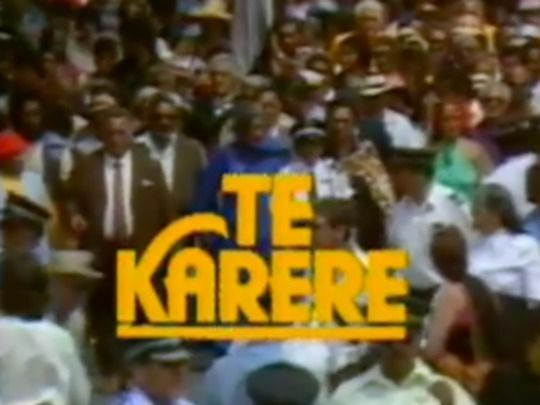 Te Karere is a long-running daily news programme in te reo Māori. Based in the TVNZ newsroom, Te Karere covers key events and stories in the Māori world as well as bringing a Māori perspective to the day's news. Significant for pioneering Māori news on mainstream TV, for three decades it has been a platform for Māori to comment on issues and events. Founded by Derek Fox, it first went to air during Māori Language Week in 1982, before getting its own regular slot the folowing year. Te Karere initially ran for only four minutes, then 15; in 2009 it was expanded to half an hour. 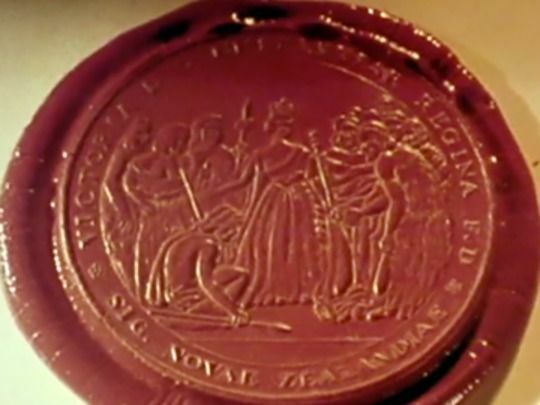 The Governor was a television epic that examined the life of Governor George Grey in six thematic parts. Grey's "Good Governor" persona was undercut with laudanum, lechery and land confiscation. NZ TV's first (and only) historical blockbuster was hugely controversial, provoking a parliamentary inquiry and "test match sized" audiences. It won a 1978 Feltex Award for Best Drama. Auckland Star reviewer Barry Shaw trumpeted: "It has made Māori matter. If Pākehā now have a better understanding of the Māori point of view [...] it stems from The Governor.